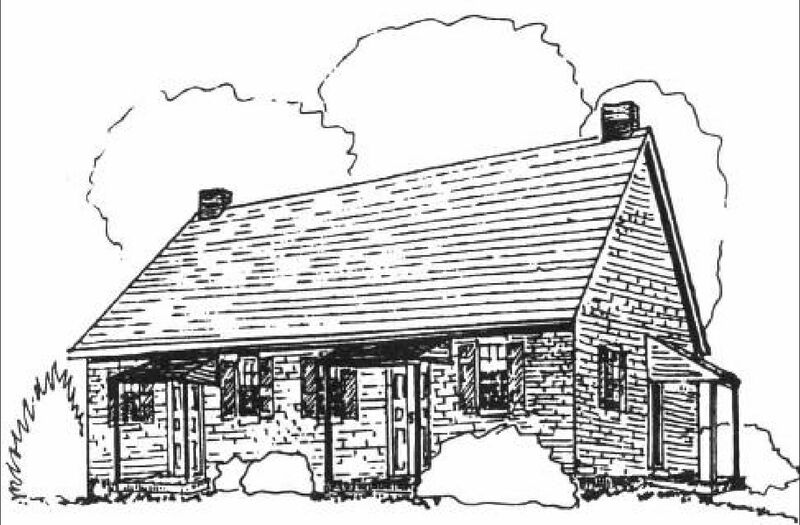 Friends built Marlborough Meeting in 1801 on land donated by two farmers, Isaac Baily and Richard Barnard, who had a disagreement over water rights. After years of bitter dispute, Barnard defused the situation by washing Baily's feet. Their gift of land to the new meeting was an outward sign of their truce. Of locally fired brick, Marlborough Meeting follows Quaker tradition in having a divider between its men's and women's sides. The women's side was converted around 1880 to a schoolroom, where the old desks, inkwells, maps, and books may still be seen. Outside in the burial ground, most tombstones are modest, as was customary among Friends. A surprising feature is the large number of flags, showing that many young Quaker men put their zeal for abolition before their pacifism and went off to the Union Army.